Oil on canvas. 102 × 127.5 cm. 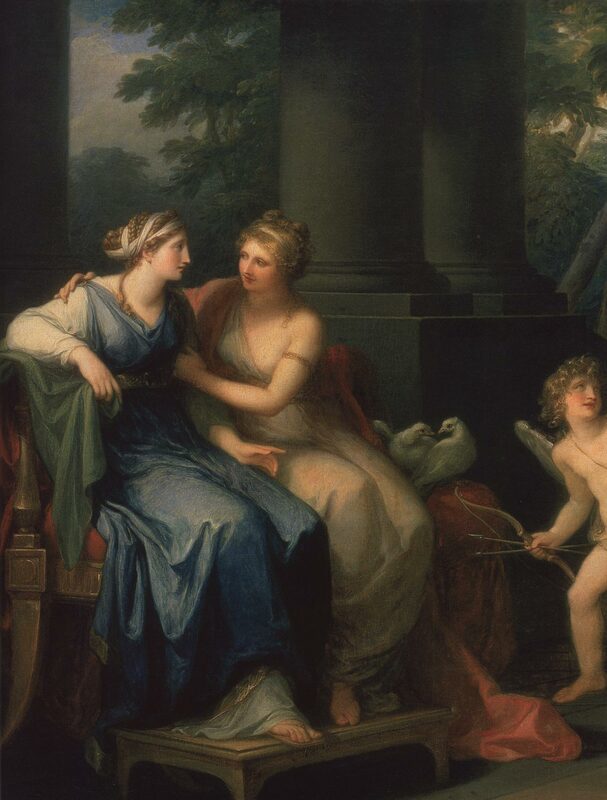 In the centre, on the plinth of a column, signature and date — Angelica Kauffmann pinx. 1790. Saint Petersburg, The State Hermitage MuseumInv. No. ГЭ 5350. Venus is persuading Helen to love Paris. Fragment. In the centre, on the plinth of a column, signature and date — Angelica Kauffmann pinx. 1790. © Photo, text: Antichnoe nasledie v iskusstve Zapadnoi Evropy. Katalog vystavki. s. 78—79 cat. No. 67.